After a year of negotiations over the North American Free Trade Agreement, the U.S. and Mexico have struck a preliminary deal, according to multiple reports, including, surprisingly, a minimum wage requirement put at $16. But it’s not quite that simple. Oh, and Canada not only has yet to sign on, it hasn’t shown up in weeks. 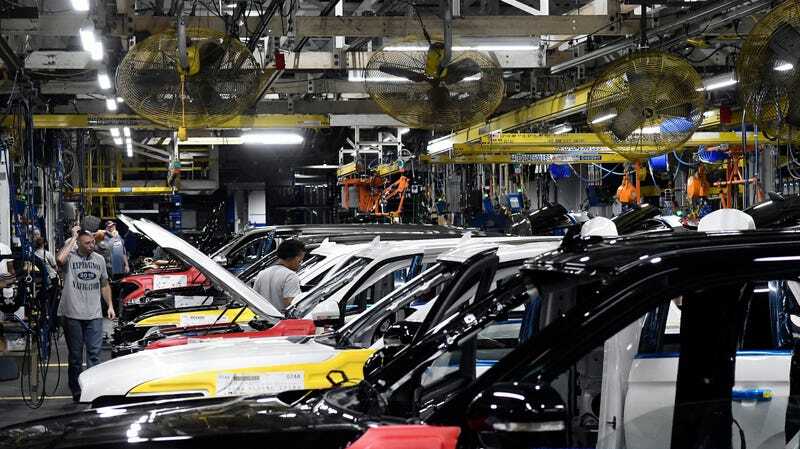 Under the deal reached by the U.S. and Mexico, car companies would be required to manufacturer “at least 75 percent of an automobile’s value in North America under the new rules, up from 62.5 percent previously,” reports The New York Times. They will also be required to use more local steel, aluminum and auto parts, and have a certain proportion of the car made by workers earning at least $16 an hour, a boon to both the United States and Canada. Trump’s negotiators floated this idea earlier this year, and as we noted, it sounds super complicated. Moreover, it could create some unwanted effects. As the Times reported, unnamed auto executives have criticized the idea, saying it would be difficult to comply with and could push manufacturing out of North America. A threat of sorts. All of this comes with a major caveat, and that’s Canada, which according to the Post hasn’t participated in discussions for several weeks now. So while some framework of a deal coming into place is surely going to be celebrated by Trump today, there’s still—as has been the case for months now—a ton of work to be done.